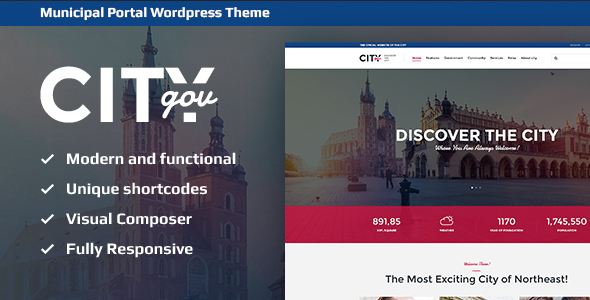 CityGov, with its modern functional design, is an ideal choice for local government website, government departments or agencies and municipal portal. The theme has lots of customizable features for showcasing all the basic needs of a modern municipality which makes it interesting for cities, small towns or villages. It is compatible with all modern mobile devices. Weve integrated the theme with a powerful ThemeRex Donations Plugin for your fundraising campaigns or charitable trusts.